Balance is important in all things, especially making a career in snowboarding (or any other hobby) last. Johnny, Kyle and Kael all found their own methods to keep the dream alive, watch "OFF & ON" to get their perspective on how they made snowboarding a career. This is my gallery from photographing the project. Tim Eddy, The Eternal Optimist. 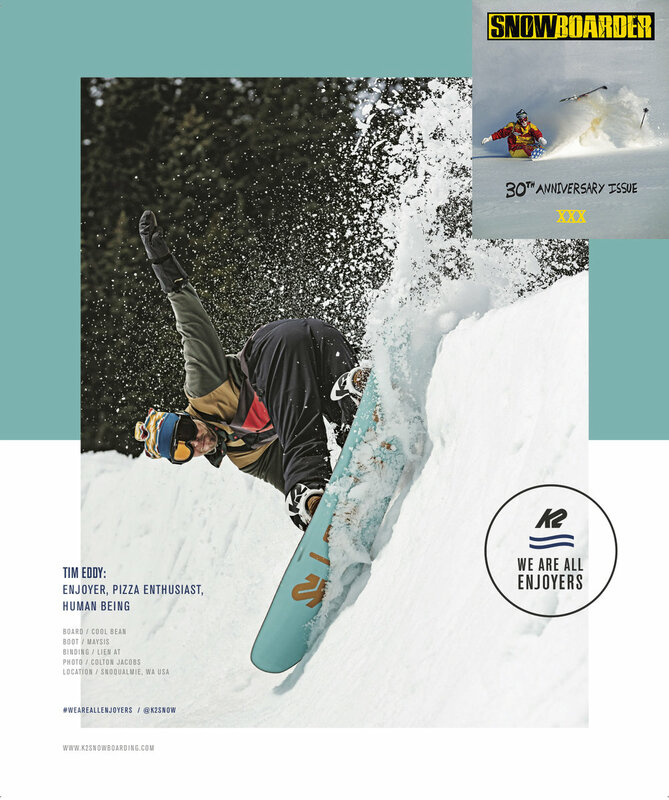 AS seen in the 30th Anniversary Issue of SNOWBOARDER Mag. Recent work for Elan Skis can be found in the Oct issue of Ski Magazine. In collaboration with Moment we recently climbed some volcanos in Oregon in search of steep line and good times. Check it out below.